Incoming middle schoolers often find themselves looking around, examining what everyone else is doing in life. It’s an anxiety-driven, nerve-wracking time, after all. The opinions of classmates matter. From this, students deem what’s cool and what isn’t. What’s in style, and what will get them made fun of. In Health class, this is all important. Health is about life, which is multidimensional. Everything around us can have meaning, whether we see it or not. Among those tricky things unseen is the sense of self and how we create our own place in the world. In 6th grade, students are given an introduction to the subject of Health with an overview on Wellness, the overall state of well-being. From physical health to mental health to social health, all parts of life feed into and feed off of these three dimensions. In the 6th grade quarter we also include a Social Health unit, a Communicable Disease unit, and an intro to Drugs & Other Substances with Tobacco and over-the-counter drugs as a focus. “Wacky Facts” each Friday help promote learning with a smile. All the quirks of life can be fascinating, can’t they? 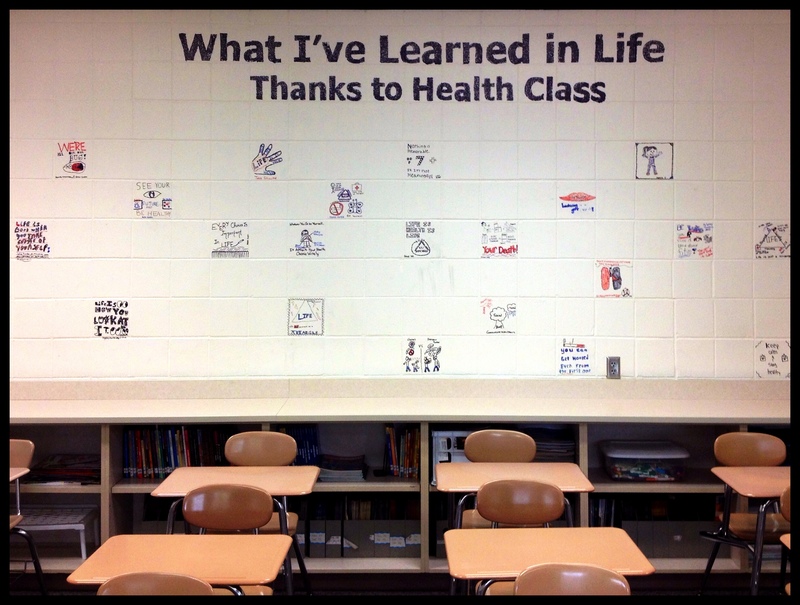 It is the foundation of 6th grade that helps set up the future years of Health class. Without this introduction and basic understanding of our three categories of life, nothing else can happen. It’s like trying to build a tower without a solid foundation. This is why I enjoy teaching 6th grade; I love to see the eye-opening wonder of learning through humor, story-telling, and correctly timed sarcasm. I want to help be that base of support and that foundation of understanding in life, even though I have more questions than answers. Together we can continue to learn that everything flows through health and well-being, and LIFE becomes the “power of one” in terms of an outline or note-taking. Health = Life. Life = Health. The rest is just details.